Katharine Berkoff, the #3 recruit on our top-20 list for the high school class of 2019, has announced she will swim for North Carolina State University in the fall. Berkoff hails from Missoula, Montana. She is a senior at Hellgate High School and swims club for Missoula Aquatic Club. The top backstroker in the class of 2019, she already has times that would have scored in the B finals of the 100 back and the 200 back at 2018 Women’s NCAA Division I Championships. 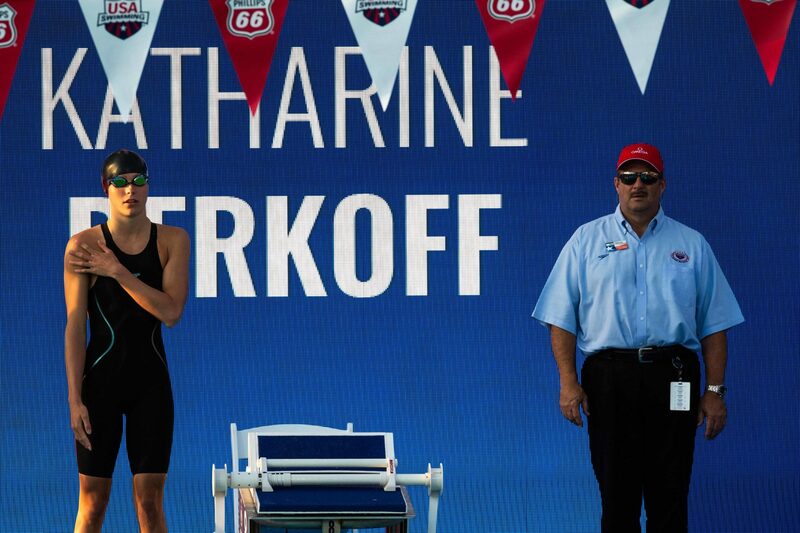 Berkoff was named to the 2018-19 U.S. National Junior Team for her 100 and 200 backstroke performances at Phillips 66 Nationals this summer. There, she finished 5th in the 50 back, 5th in the 100 back, and 7th in the 200 back. She also competed in the 100 free and 200 IM, finishing with PBs in all 5 events. She then went on to represent Team USA at Junior Pan Pacific Championships where she set the meet record in the 100 back with 59.59. Still only 17, Berkoff already owns the 5th-fastest LCM 100 back time (59.59) and the 12th-fastest 200 back time (2:09.84) in 17-18 history. In high school swimming she owns Montana state records in the 200 free, 100 free, 100 back, 200 medley relay, and 200 free relay. She won the 100 free (50.01) and 100 back (52.80) at the 2018 MHSA State Swim Meet. Berkoff is the daughter of two-time Olympic gold medalist David Berkoff. Her brother Cale Berkoff is currently a sophomore on the men’s swimming and diving team at Minnesota. She will suit up for the Wolfpack with fellow class of 2023 commits Elle Giesler, Faith Hefner, Katie Mack, Kay Foley, Maddy Flickinger, and Parker Timken. Wow… this is a big time get for Braden Holloway & co at NC State. Congratulations Katharine. Wow, congrats to NCST! what happened to Stanford? She went to visit them at the end of the beginning of October. Did anyone know if she get pass the admission? Between her and the school. If she didn’t, she’d just be joining the other 95% of applicants to the Farm who are unfortunate with admission. Berkoff had an unweighted 4.0 GPA at the end of her junior year. 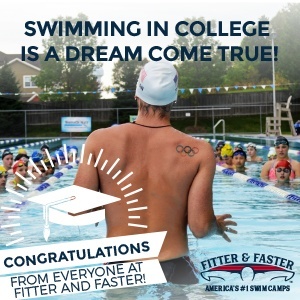 She’s also one of the best high schoolers in the country at what she does (swimming). I can’t say with any certainty, but I have a hard time believing that she wouldn’t get into Stanford if she wanted to. Stanford looks for high achievers in a variety of fields – a 4.0 GPA + ‘top 5 high school seniors in the country at her primary extracurricular’ fits that bill. Braden, how do you know what her GPA was? I’m just curious. Suspect the 95% rejection rate at Stanford is not applicable– for recruited athletes. Huge congrats to Katharine. It must be a great fit, and it seems she chose this school for all the right reasons. Way to go! I’m curious what happened to Stanford recruiting this year? Are they taking international swimmers? It was their leanest year that I can remember, though they are plenty deep already. I suppose I was thinking that with the two scholarships they pick up from Ledecky and Manuel going pro, they’d get some great picks. Oh well … next year’s recruiting class is super strong. Better Wind & Rain than Fire and Earthquakes. Except that Berkoff beat all of them this summer save Ruck who she beat scy last time they went head to head.